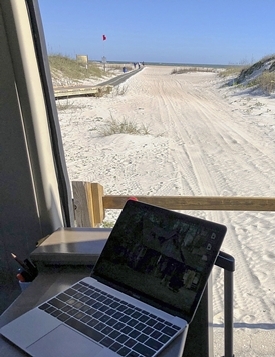 Everything that’s happened since I arrived in Florida on December 21 has been about finishing the rig’s mods and setting up, organizing, and taking short, trial trips that end with heading back to either my brother’s or sister’s place. But all that ends…starting today. Today begins the real, full-time living in Tamasté. Today begins dependency not on staying with relatives and using their bedrooms, bathrooms, kitchens…but relying on Tamasté’s features to sustain my existence over the next 11 months or so (or until I’m back in Florida late in the year). And today begins my real daily routines of capturing thoughts in my travel journals, working on writing projects, and getting back to self-care basics of yoga, meditation, and daily walks in nature. If you’ve followed the story so far, you know this concept and goal began late last summer, culminating in adopting Tamasté in October and retiring/leaving Findlay in December. That’s a long time to ponder the emotional, fiscal, and physical impacts of this complete shift in living arrangements and lifestyle. All signs (and the lack of mental red flags) still point to this as a good path for me. But today begins the real test for all the work on all the levels for this new journey. To date, posts have been about the beautiful sights seen and experienced, with not much about what’s going on in my mind. I will share more of that in the posts ahead, but still share the pretty pictures along the way. My hope is you’ll also find the meaning and impact to me both interesting and beneficial to you. I’m ready, are you? Let’s go! 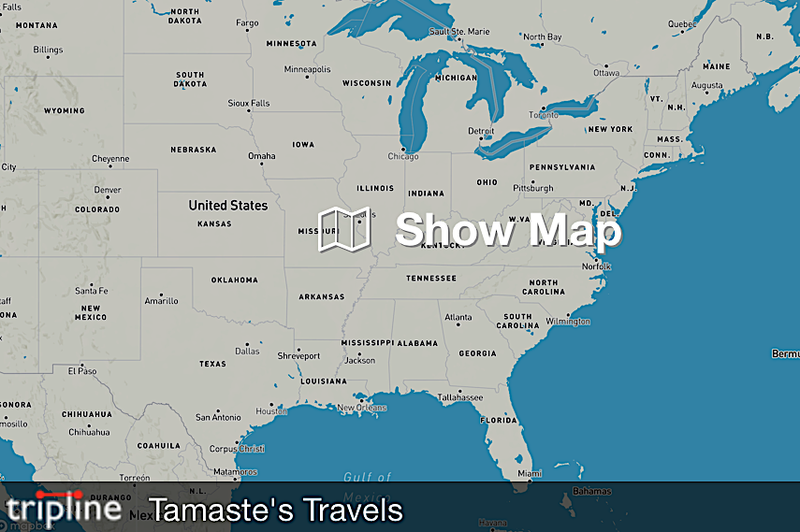 Where’s Tamasté Been, Where’s He Going? Dear NANO Buddy: I don’t comment much, but do read and enjoy your posts, both words and photos. Looking forward to accompanying you (online) for the continuation . . . or TODAY beginning of your journey, and hope we see you this spring in the Rockies! Good luck to you as you start your adventures! I’ve always enjoyed your perspective (and photos), so I look forward to hearing more of your journey. And seeing your Field Notes, out in the field, as it were. Good luck, Gary! By all means, let it get weird! 😉 I could never do what you are doing — too rooted to the ground — but I’m very much looking forward to living like a turtle vicariously. I’ll try to keep your inner turtle happy throughout the journey!